Lorraine is a flexible, results orientated practitioner with a strong drive to ‘get the job done’. Her HR and life experiences have been gained in both the commercial and not for profit environments, together with an early career background as an Officer in the Royal Navy. She has a successful track record of being able to adapt her experience to the many different organisations with whom she has worked, some of whom have been unionised. She gains credibility and respect from senior management and employees alike in a short period of time. She has sound organisational and communication skills combined with empathy at an individual level. Lorraine compliments the Central Consultancy Team with her generalist HR expertise with strengths in Job Evaluation, Employee Relations, Restructures, Performance Management, having difficult conversations and a wealth of experience in conducting investigations and supporting Disciplinary and Grievance meetings/appeals. 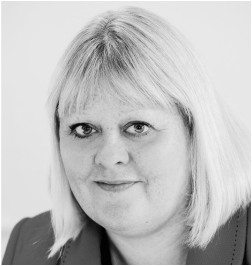 Lorraine is committed to her local community and is currently Vice Chair of Governors of a large secondary school in Warwickshire. Her HR and governance experience complement each other and utilises her skills when working with Senior Management teams. In her spare time Lorraine provides a taxi service for her teenagers, but also find time to sing with a local Community Choir performing at different locations throughout the year raising money for charity.